Hello to my beautiful scrap-happy friends. This month's theme at Lasting Memories is "Life's Affirmations". This week the challenge is to scrap anything about this month's theme. This got me thinking about a time in my life when I was working on myself. In 2006, I woke up one morning and disliked almost everything about myself. I didn't like the person I had become and made a decision to go on an intense journey to change everything about my life. I met the most amazing and inspirational people in Wilkes-Barre, Pennsylvania and they forever changed my life. It has been a continuous journey to make the positive changes necessary to life a full and happy existence. 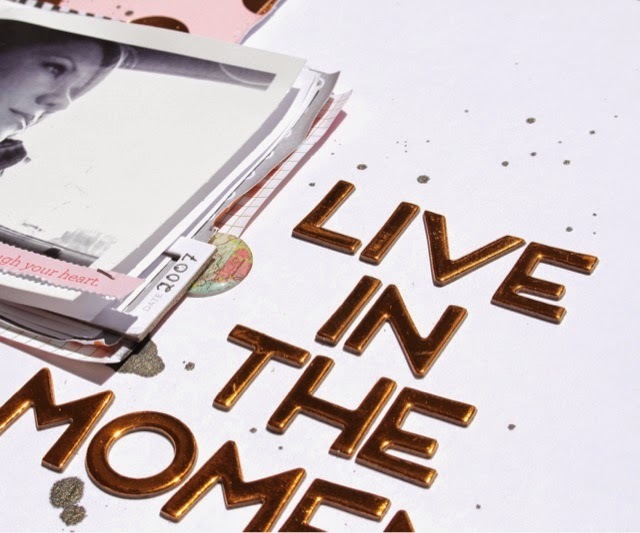 One of the most important lessons I've learned is to "Live in the Moment". You see, my brain is never naturally living in the moment. I sometimes have to close my eyes and try to completely empty all thoughts. When my brain is finally quiet, I listen to the noises that are going on around me, then the smells, then open my eyes and see.. I love this moment right now. 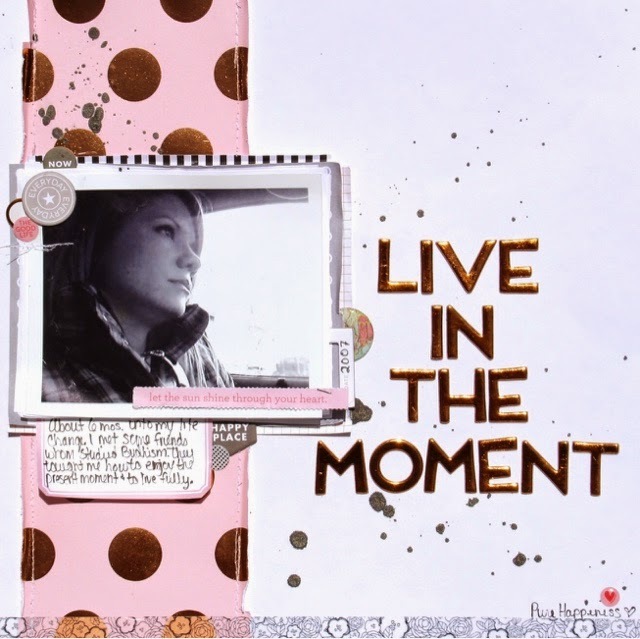 Andrea what a great reminder to enjoy each moment. I love your page and the history behind it. Super page! What a great reminder for yourself! Wilkes-Barre isn't so far from me if you ever get this way. Wilkes-barre is so beautiful to me. I'll let you know if I ever venture back there. Thanks. I love your layers Andrea and the gorgeous photo. The touches of gold foil are beautiful!! Lovely story behind the photo too!